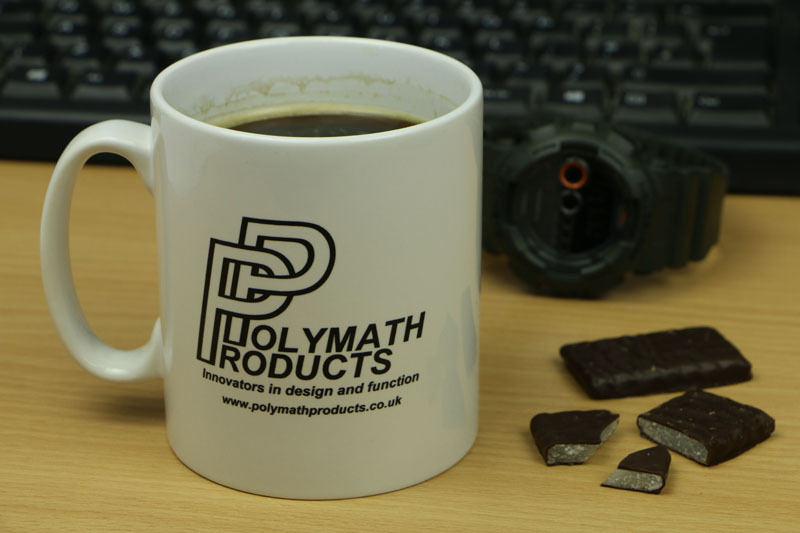 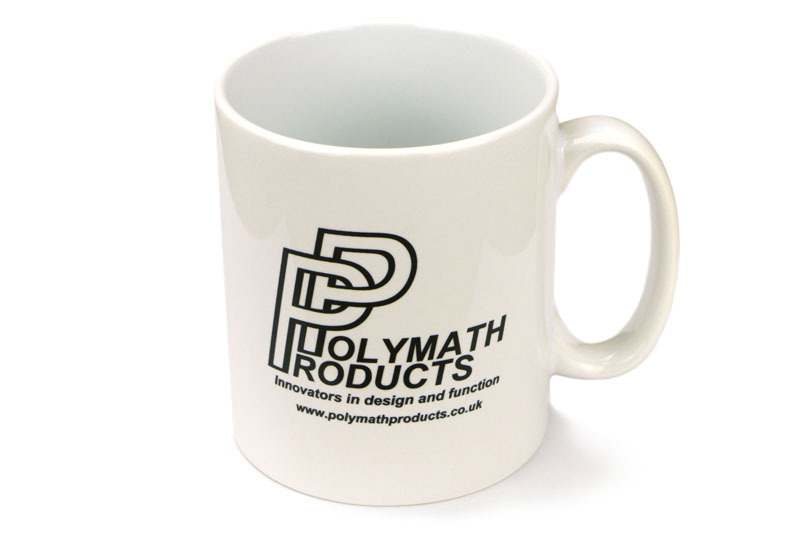 Polymath Products-branded earthenware mug, featuring our logo in stark black on white. 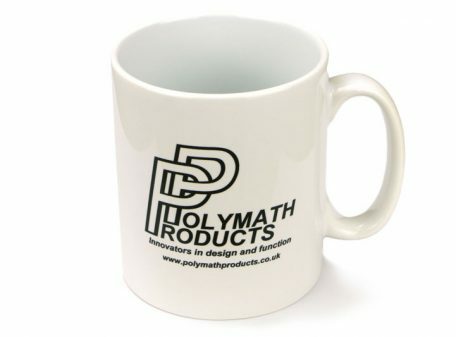 Robust in construction, fully dishwasher and microwave-safe, and with 330ml of capacity for your beverage of choice, this mug is ready to give years of service on your desk or workbench. 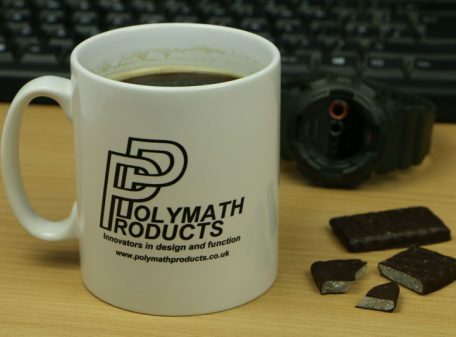 Fend off the cold and the dark; a warm, comfortable beanie hat with built-in USB-rechargeable LED light. 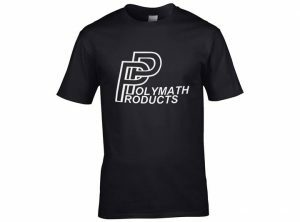 Premium-quality t-shirt for all occasions.